At Harlyn Surf School we offer group surf lessons, kids surf camp, as well as private group lessons or 1:1 private sessions. As well as beginners surf lessons, we also cater to improver and intermediate coaching sessions. Give our team a call or email to find the best lesson for you. We don’t just offer Surfing! We also run Coasteering, Stand Up Paddleboarding and Sea Kayaking. If you are visiting the beach and just wish to hire equipment, then pop in and see us in the school. 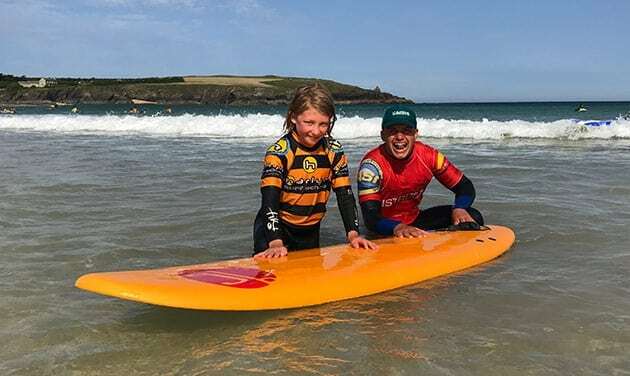 With over 25 years of experience, Harlyn Surf School has an enviable location on what we think is one of the most beautiful and unspoilt beaches in Cornwall. 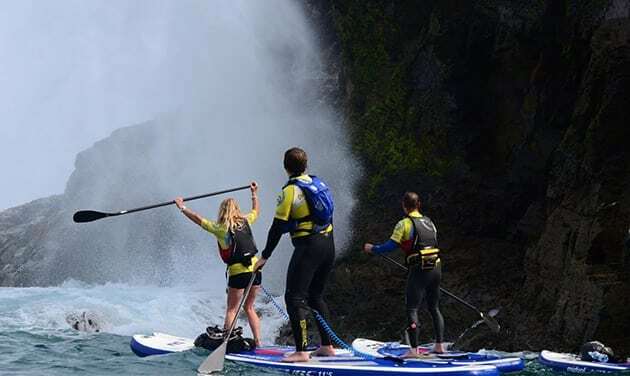 Our intro to Stand Up Paddleboarding lessons will get you started and then you can book on to one of our amazing paddleboaring tours where we can introduce you to some amazing places. 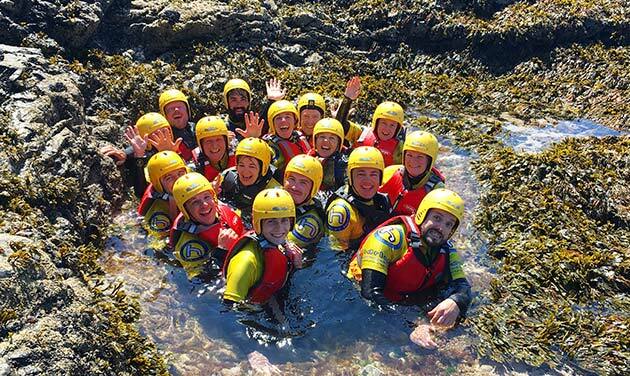 Join us on a Coasteering adventure! Coasteering includes a combination of traversing across rocks, wading through rock pools, sea swimming, negotiating rock jumps and exploring caves. 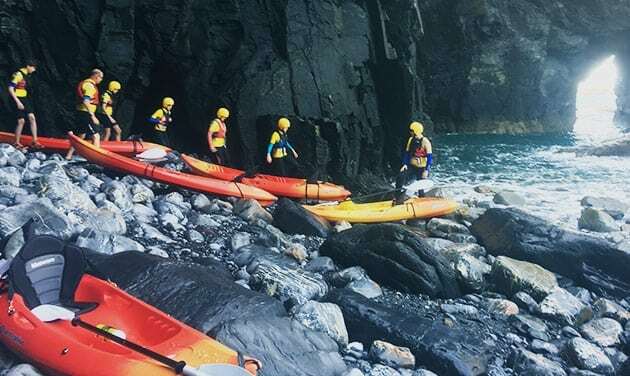 During our Sea Kayaking tours, you are really close to nature as you are inches from the water and you can get up close to all the fascinating nooks and crannies around the stunning coastline.